ELG is licensed to practice law in the Philippines, and in Canada. He is an Attorney in good standing with the Integrated Bar of the Philippines. The IBP is the official organization of all Philippine lawyers whose names appear in the Roll of Attorneys of the Supreme Court of the Philippines. Emmanuel is a Barrister and Solicitor in good standing with the Law Society of Upper Canada. The LSUC governs Ontario’s lawyers and paralegals in the public interest by ensuring that the people of Ontario are served by lawyers and paralegals who meet high standards of learning, competence and professional conduct. He is also a Notary Public for Ontario pursuant to the Notaries Act, Revised Statutes of Ontario, 1990, chapter N.6, as amended. Emmanuel started his legal career by working with legal departments of Philippine private companies from 2001 to 2007. 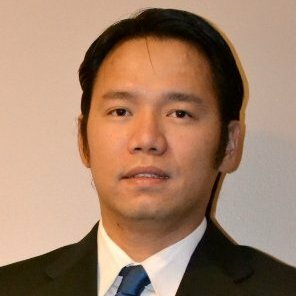 There Emmanuel developed his interest and expertise in the following areas of Philippine laws: Immigration, Contracts Law, Criminal Law, Labor & Employment Law, Intellectual Property, Renewable Energy, Taxation, Business Law, Foreign Investment, International Mergers & Acquisitions. From 2007 to 2010, he simultaneously held positions of Legal Department Manager, External Counsel, and Board Corporate Secretary of various Philippine private companies including representative and liaison offices of foreign-based companies. Since 2010 in Ontario, working with various reputable law firms and immigration practitioners in Canada, Emmanuel has been processing application of all kinds of Canada immigration visas. He has been actively involved in handling files relating to Canadian immigration laws, refugee and asylum laws, including administrative and judicial review of refused immigration visa and sponsorship applications. As well, since 2010, his experience includes defence of criminal cases in Ontario, Canada, and also in the areas of injury, damages, and tort litigation. After completing his formal experiential training, in 2015 Emmanuel started providing legal services in the fields of Family Law, and IT & Privacy Laws. GALANG LAW OFFICES offer a full and dedicated legal service and observe fidelity, fairness and loyalty to its clients while representing them with competence and diligence. We value the confidence of our clients and preserve the confidentiality and secrecy of all their matters while keeping them informed of the status of their case and responding immediately to their request for information. On litigation matters, while we encourage settlement if it will admit a fair settlement, client interest is our primary concern and advocacy. GALANG LAW OFFICES provide free initial consultation and charge only fair, reasonable, and cost-friendly fees.